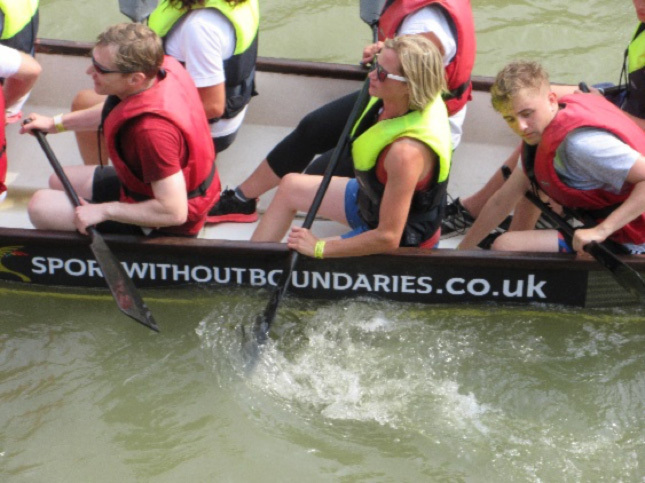 ‘Sport Without Boundaries’ entered a team in the Arundel Dragon Boat race which was part of the Arundel festival. 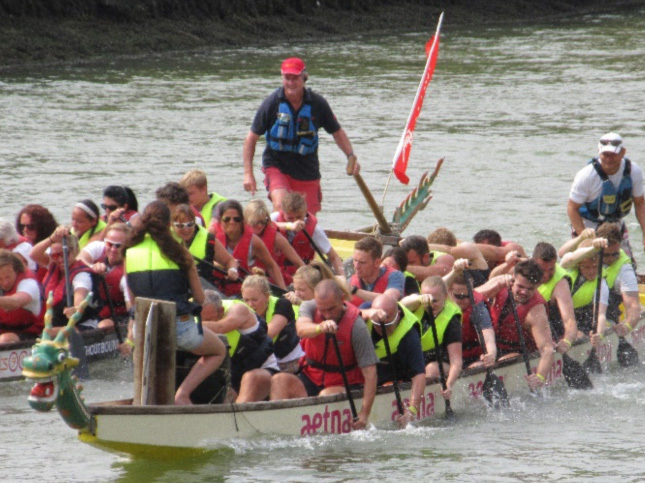 None of the crew had experience so the team were in at the deep end from the start. Techniques were learnt [from the helm] and corrected [by various crew members!] 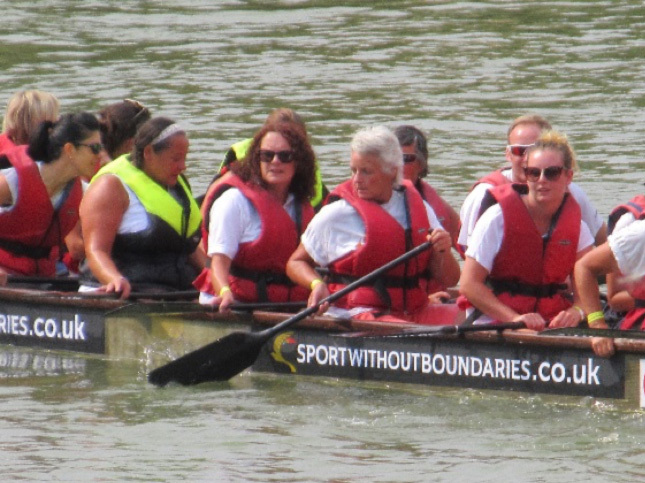 in 30 seconds, the SWB team then attempted to paddle simultaneously and battle against the clock and teams competing in the event. 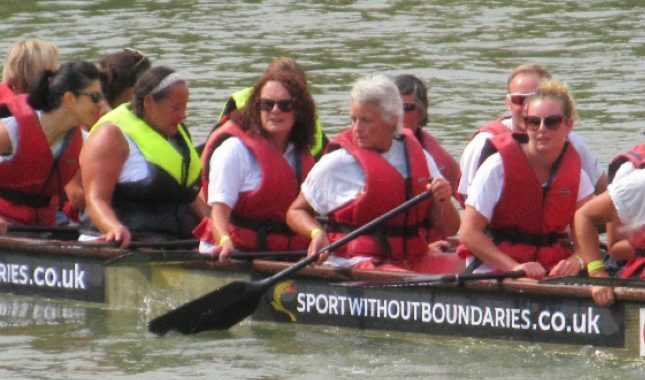 Good fun was had by all and it is hoped that the Sport Without Boundaries logo displayed on the boat will help promote and raise the profile of the organisation.